Every Federal motorcycle is one-of-a-kind and hand-built with love in Chicago, Illinois. Interested in a build? Send us some information on what you're looking for below or contact us for current availability. 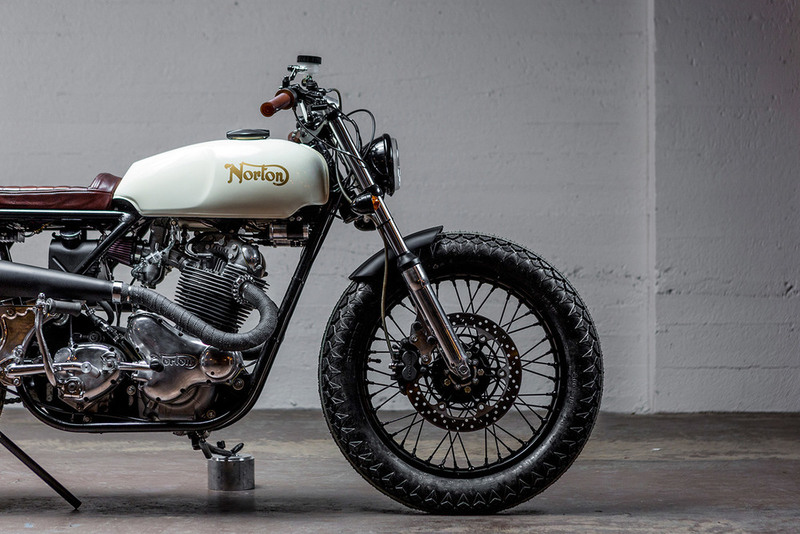 The first build to roar out of the Federal garage is a 1974 Norton Commando 850 tracker for riding around the city or cruising through the rockies all the way to the coast. 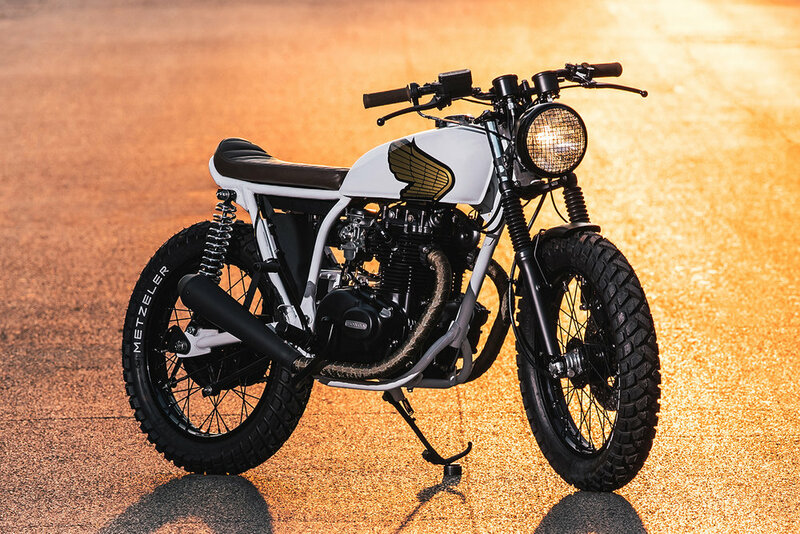 A 1974 Honda CB360 tracker commissioned to be a daily downtown rider that can hit the mountains for a weekend tear. A 1980 Yamaha XS400 cafe racer built to wake the neighbors and peak the interest of local law enforcement. We stripped down and murdered out this 1975 Honda CB550 for Canadian Film Director, Grant Harvey. A 1978 Yamaha SR500 built for beach front burnouts down in South Florida. A re-envisioned 2006 Honda XR650L thumper heading to British Columbia to enjoy the mountain air and winding roads in equal parts. A 1979 BMW R100 cafe racer designed with a nod to the 1976 Formula 1 car, the Lotus 77. A 2013 KTM Duke 690 with all the fat trimmed off in the surgical hands of the Federal team. Talk about high and tight. A 1983 Honda CX650 which maybe the raciest Federal Moto build to date. Nothing but the engine stayed on this chariot. 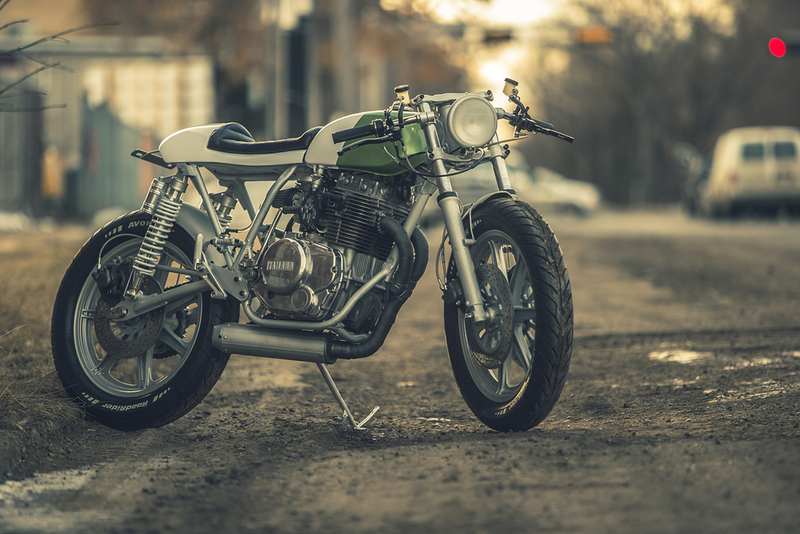 1974 Honda CB750 that has come to be known as our 'Dark Passenger' – that undeniable urge to build. We've dreamed up our take on the 2014 Royal Enfield Continental GT as part of our new partnership with Royal Enfield and their ambassador program. Our second crack at a Honda CB360T. Simple and lean – the perfect city slicker. A 1981 Yamaha XS650 unlike anything we've ever done before: a hard-tail chopper build in collaboration with Cult Runner and TC Bros.
We gave the 2005 Suzuki DR-Z400S the Federal treatment. Chicago potholes stand no chance. A sleek and dark 1979 BMW R75 street machine for renowned photographer Serdar Ozturk.